Lori specializes in sports medicine and orthopedics, and has a particular interest in the pediatric and adolescent-age athlete. This is an age group that has unique risks and unique injuries and also account for a significant number of musculoskeletal problems requiring medical diagnosis and treatment. Lori has developed an understanding of a wide range of athletic injuries, injury prevention strategies, and rehabilitation programs to return the athlete to full athletic participation. In her practice, she focuses on identifying weaknesses, including problems from previous injuries that affect performance. Assess and identifies problems and provides a wide range of guidance during the rehabilitation process. Lori understands the demand of athletics from recreational enthusiasts to youth athletes to professionals, including world class Olympians. 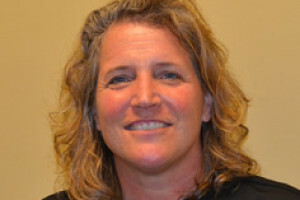 In addition to Lori’s special interest and care for the pediatric and adolescent-age athlete, Lori works with the United States Diving Team, and is a physical therapist/athletic trainer for the US Ski and Snowboard teams. Lori is passionate and active in the community. She is a former collegiate athlete in swimming, track and cross country, and is a native of Bellevue, Washington.